At Johnsons Toyota, we want to make sure you always get the best deal, which is why you’ll not only find affordable and fairly-priced models, you’ll also benefit from flexible finance plans and exclusive aftersales offers that make paying for your dream car even easier. We like to keep all of our offers up to date, so make sure you take a look at the below deals to stay up to date. Click to view each offer in more detail, and get in touch once you’ve found the one that suits you. 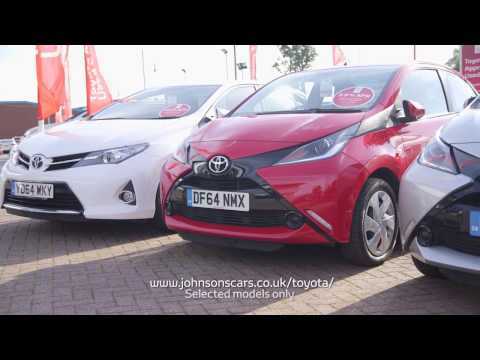 Visit your local showroom in Southport, Liverpool and Wirral to explore the extensive range of used Toyotas, or give us a call today to find out more about how we can help.